The days of prescribing daily eye drops for glaucoma patients may be coming to an end. A recent study carried out at Harvard Medical School has found that contact lenses with drug-dispensing capabilities are just as effective as bottled eye drops. 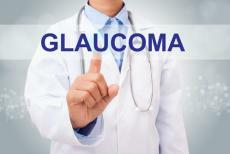 Glaucoma is an eye disease that creates enormous amounts of pressure in the eyeballs. In worst-case scenarios, this pressure buildup can lead to permanent blindness. Doctors currently control glaucoma with pressure reducing drugs like latanoprost and dorzolamide. These eye drops need to be put in the eyes either once or twice daily to keep pressures under control. Many people with glaucoma, unfortunately, cannot get used to putting in the eye drops every day. Some doctors have found that people sometimes only get the drops partially in their eyes, weakening the drugs efficacy. Also, many eye drops can cause painful burning or stinging sensations that patients find it hard to deal with. To give patients a better treatment option, doctors are now looking into whether contacts may be able to dispense pressure-reducing drugs gradually and imperceptibly into the eyes. Doctor Joseph Ciolino organized the most recent study at Harvard Medical School looking into this issue. What researchers on this study found was that lenses may not only help patients who have trouble with eye drops from a bottle, but they could be more effective at reducing eye pressure than bottled eye drops. Studying contact lenses infused with eye medicine is nothing new. These lenses have actually been studied for over 50 years. The difference with Ciolino's study, however, is that the researchers designed these contacts with the drug film on the periphery. By placing the medicinal polymers on the periphery of the lenses, researchers found that the medicine entered the eyes at a slower pace. Medicinal contact lenses tested in the past failed because they were designed with the medicine smack-dab in the center of the lens. This had the effect of releasing the drug far too quickly. People with additional vision problems, like near-sightedness, can tailor these medicinal contact lenses to serve as their daily glasses. Of course, those without additional vision impairments can also wear these contact lenses throughout the day to get all the benefits of reducing eye pressure gradually. It is estimated that 500,000 people in the UK have glaucoma. It is crucially important to detect glaucoma as early as possible to halt its progress via medications and, if necessary, surgery. These medicine-filled contact lenses show great promise in helping those with glaucoma take their daily medication without having to deal with the aggravations and painful symptoms associated with traditional eye drops. With further research, eye doctors may prove that these contact lenses are better at reducing eye pressure than daily eye drops.